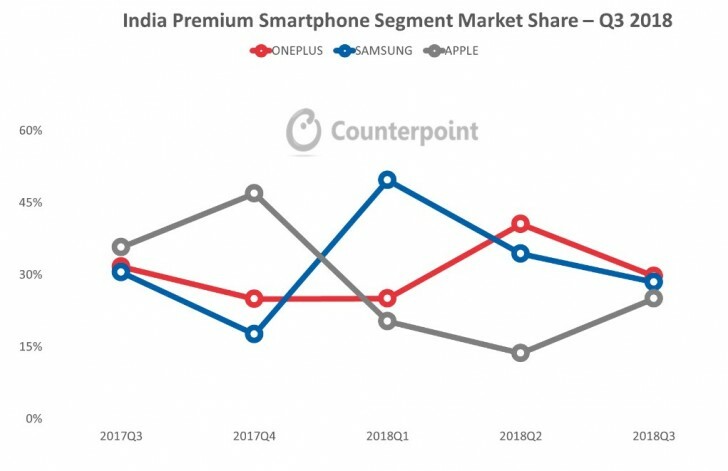 For the second consecutive quarter, OnePlus came out on top in the Indian premium smartphone market with 30% share in the above INR 30,000 ($400) segment beating Samsung and Apple. The top three manufacturers secured 83% of the overall premium sales, which is 5% down from last quarter and the new players in town are to blame – Oppo Find X, vivo NEX S, Asus Zenfone 5z, LG G7 ThinQ and Huawei nova 3. 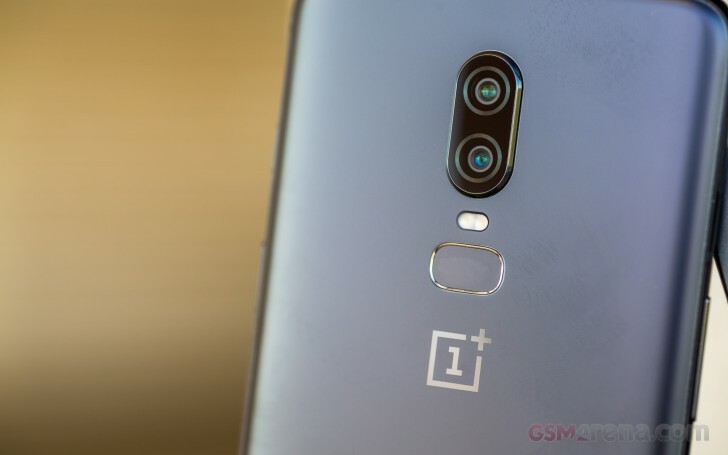 The new exclusive offline and online store deals, the effective marketing campaign and the positive word of mouth propelled OnePlus to the top position with great OnePlus 6 sales. Samsung, on the other hand, got 28% of the pie thanks to its strong initial demand of the newly released Galaxy Note9 and the Galaxy A-series. Apple reached a market share of 25% thanks to the iPhone XS and XS Max but the high import fees keep them from performing better. Counterpoint points out a few key factors that contribute to the growing premium market segment. For once, the spending power of the population is growing, which coupled with various offers, no-cost EMIs and instant cashbacks are the main culprit. Premium features such as dual cameras, faster processors, support for AI, advanced biometric security and full-screen displays act as deciding factors for users to upgrade from their mid-range phones. Currently, the top three best-selling premium smartphones for Q3 in India are the OnePlus 6 securing 30% of the sales, followed by the Galaxy Note9 and A8 Star which combine for 20% of the sales.